VICTORY! South Australians speak out to save seals! In a triumph of compassion and community spirit, the SA government has listened to the people and 'shot down' a proposal for a brutal seal cull. 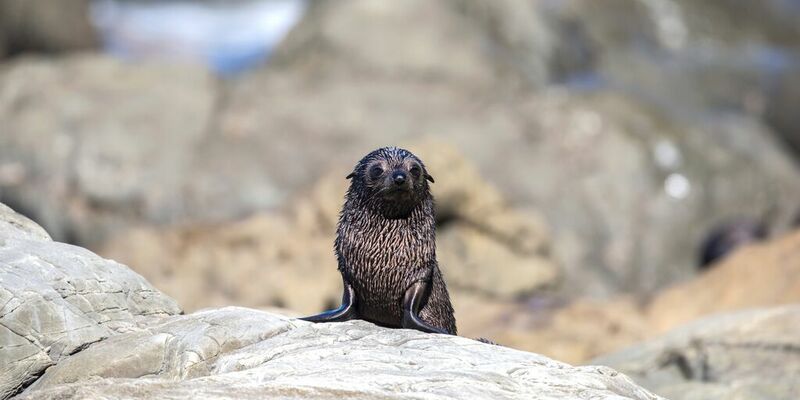 Hundreds of caring SA-based Animals Australia supporters have successfully petitioned their MP's in protest of a proposed seal "cull", that would have claimed the lives of thousands of local fur seals. The public outcry followed calls from the fishing industry for a cull as they alleged competition for fish stocks had led seals to "interfere" with trawling nets. In the 19th century, South Australian seals were almost hunted into extinction as they were slaughtered by the thousands in order to harvest their fur for international sale. Adrian Pederick MP only made matters worse when he waded into fray calling seals "rats of the sea", and announcing plans to revisit our dark past by restarting the export of seal meat and fur. The response from Animals Australia members was immediate — and outraged. Choosing to dismiss lethal "population management" options, the Environment Minister Ian Hunter has pledged $100,000 to work with the fishing industry to explore more humane methods, like noise deterrents, of keeping seals at bay. Cruel seal culls have been condemned the world over, with the annual Canadian slaughter the focus of international ire. Minister Hunter's decision is great news for seals, however deterrents are only part of the solution because they fail to address the big question at the heart of this whole issue. It's the question the fishing industry doesn't want anyone asking: how can seals be blamed for "stealing" fish when we are the ones who enter their natural habitat to harvest tonnes of their only food sources for our own unsustainable consumption? We need to be looking at how we as humans can change our behaviour first before we try to force wild animals to change what comes naturally to them. And what comes naturally to seals (just as it does to cows, chickens, pigs, and all living creatures) is the will and desire to survive. Seals aren't thieves, they're complicated, impulsive, hungry, living beings — just like us. We simply have to learn to get along. And when they've got little faces like this, how difficult can it really be? Celebrate! to Environment Minister Ian Hunter to say thanks for standing up for SA's seals! Eat wisely. Seals don't have a choice about what to eat. We do. Reducing your intake of seafood — or cutting it from your menu completely — is the most powerful action you can take to help ease the stress of overfishing, and leave enough food in the ocean for hungry seals. Take action. Canadian seals need your help too! Sign the petition to end the annual cruel seal hunt.